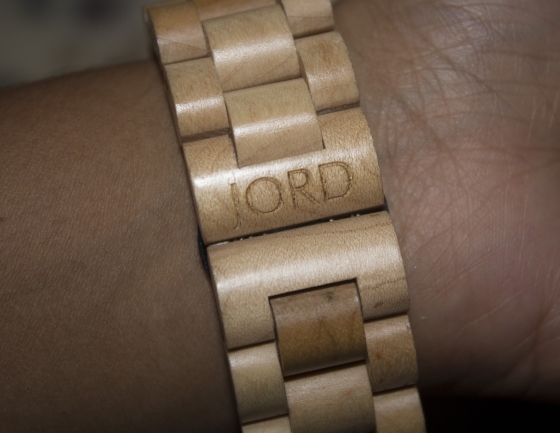 It's a Jord Wooden World! Good-day gorgeous! 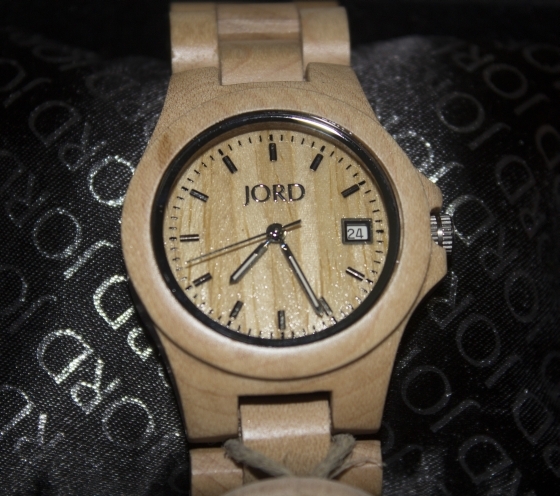 I'm super thrilled to be able to showcase the modern look of the line of wooden watches by Jord. I was in awe of the packaging being sleek in the outer box but even more so on the inside with the watch gently cradled in the box with a soft pillow in the middle. 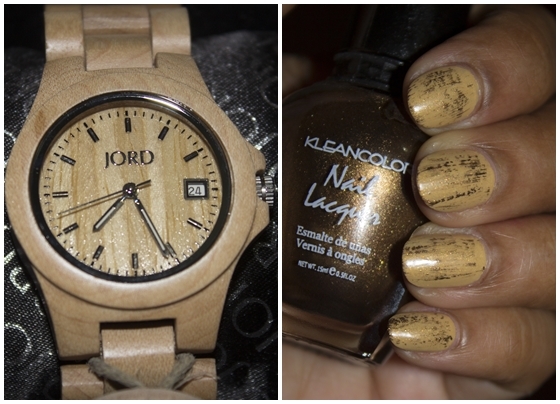 Today's nail look is simple and reflects the wooden effect of the watch. I first apply two coats of a nudey brown color by China Glaze called Kalahari Kiss. Once this has dried fully then use a brown chocolate color like Kleancolor Coffee. Wipe off most of the color from the brush and then gently stroke the brush against the nail bed in different areas. 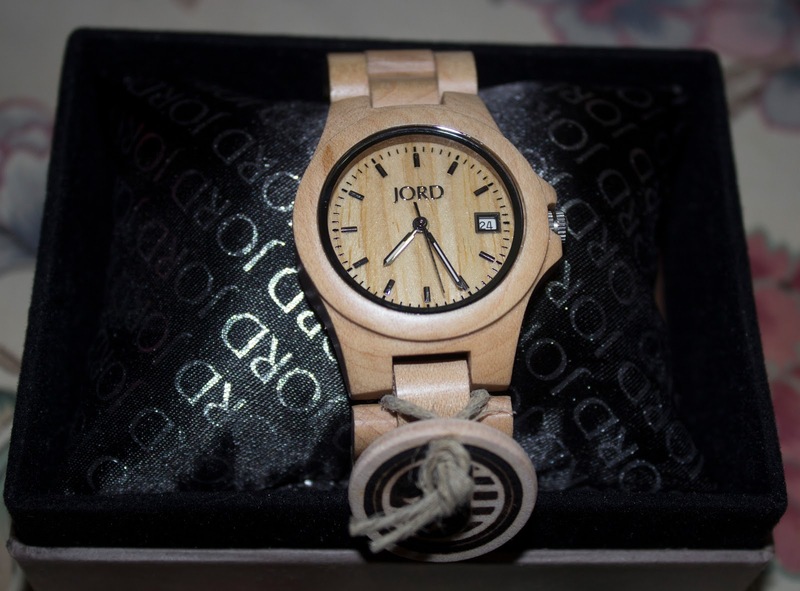 This creates the wooden grain effect. Top off with a matte top coat. This model is called Ely Maple. The watch is super lightweight and feels like it isn't even there on your hand. The clasp for closure is towards the back, underneath the wooden band and is made of metal with two side button to press it open.